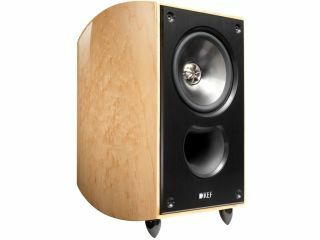 Maidstone's finest loudspeaker company KEF has launched a completely revised range of speakers under the XQ banner. The four-strong line-up of stereo speakers in the XQ series range in price from £700 for the XQ10 two-way standmount, to £2,000 for the XQ40 flagship three-way floorstander. KEF has made improvements to its proprietary Uni-Q driver array, which features across the XQ range and is said to improve high frequency dispersion and extension. This has enabled the brand to drop the hyper-tweeter seen in the original XQ models. KEF has also implemented an improved crossover circuit that draws on componentry from the Reference Series and is said to minimise any electrical coupling - the mid/bass sections are physically separate from the treble sections. The new models also sport WBT loudspeaker terminals at the rear for a high-quality connection with speaker cables. The range comprises two standmounts, the aforementioned XQ10 at £700, and the larger XQ20 at £1,000. There are also two floorstanders, the XQ30 (£1,500), and the flagship three-way XQ40 (£2,000), plus a dedicated three-way centre speaker priced at £750. All models feature curvaceous cabinets to eliminate standing waves and are available in a choice of real wood veneers.